Pictured to the far right is Adam Riggin (Kirk’s grandfather), along with several of his farm hands. 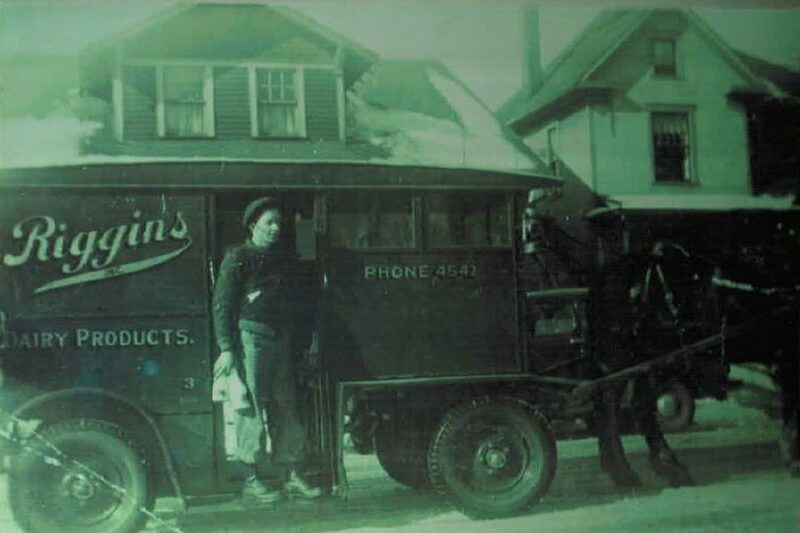 The ancestry of our company begins in 1911 in Muncie, Indiana. Rea Riggin owned a small dairy herd and founded Riggin Dairy as means to produce income for his family. 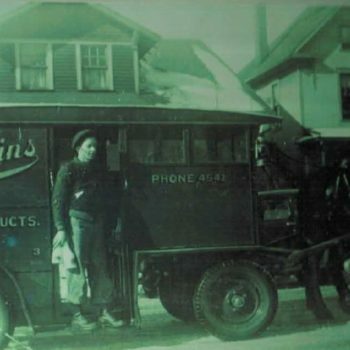 In the 1920s, he expanded their dairy operations dramatically by specializing in the home delivery of high-quality dairy products. Unlike most farmers, the Riggins did not struggle through the Great Depression. Instead, they were known throughout their community for their generosity and support of others during this difficult time. They were then able to expand after World War II. By the 1970s, their business was operating in four counties. Rea was blessed with eight sons, who then took on their father’s business and later passed it on to their children. The dairy was in operation until the early 1990s and is currently owned by the fourth generation of the Riggin family. Dorothy Riggin (Johnson), fourth generation, had five sons, four of whom worked at the dairy. 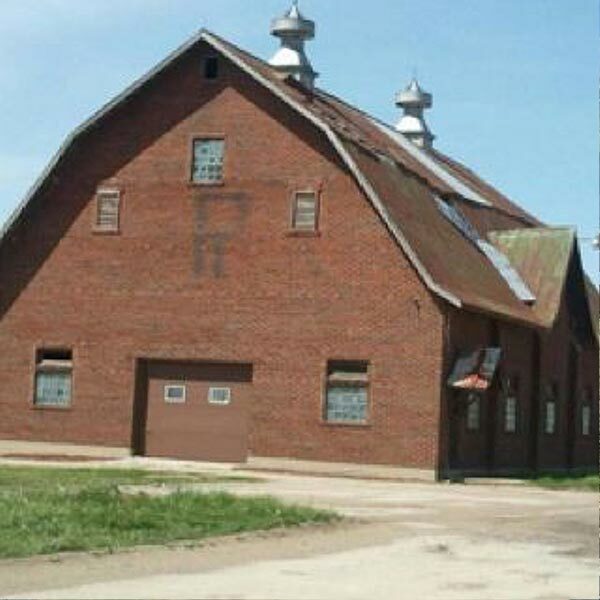 Her son, Kirk Johnson, then took the extensive knowledge gained from his forefathers, and founded his own business in 1982, called Swissland Milk Company, which was a milk receiving station located in Berne, IN. There, he also built the world’s largest “moo-moo” clock, trademarked the first Gogurt, which was 100% goat milk yogurt, and started manufacturing cheese. 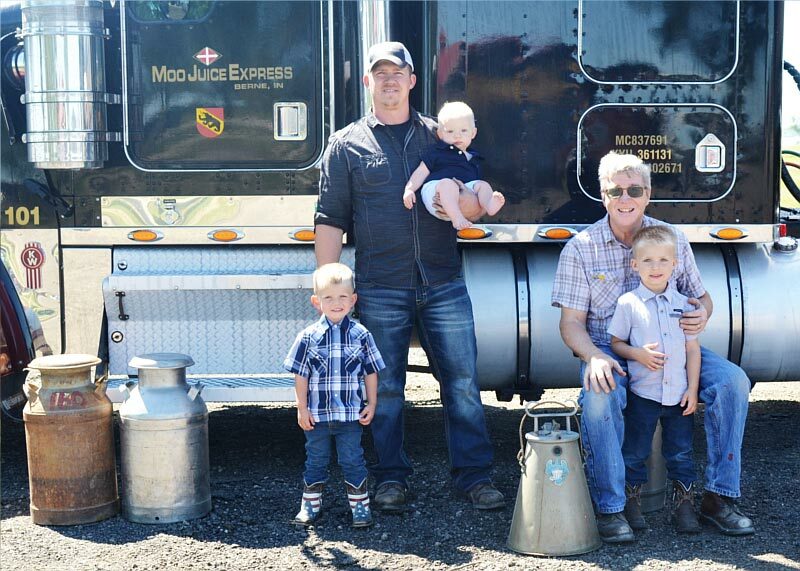 In 2002, he began expanding his cheese business under the Swissland name, and therefore founded Moo Juice Express, Inc. as his milk transport company. Pictured is Charlie Johnson, Kirk’s father, who worked at the dairy as a milk hauler and refrigeration specialist. 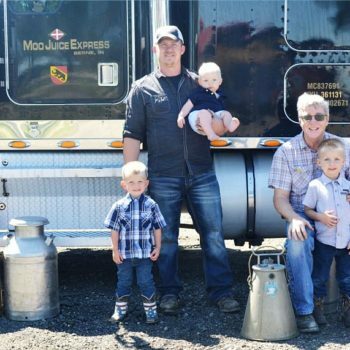 In 2007, Kirk’s son, Brady Johnson, came on board and began managing Moo Juice Express and Swissland Cheese alongside his father. In 2013, Kirk guided Brady as he ventured out to expand Moo Juice Express to create more revenue and more jobs for the community. 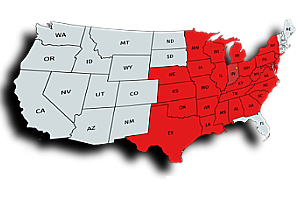 Since then, Moo Juice Express has gained several notable clients, such as Foremost Farms, Horizon Organic, Grassland Butter, Capriole Cheese, Traders Point Creamery, and Dairy Farmers of America. In 2016, Brady became co-owner of the company. Since then, he and Kirk have constructed their own maintenance shop, a brand new milk transfer station, and a team of over 50 employees. 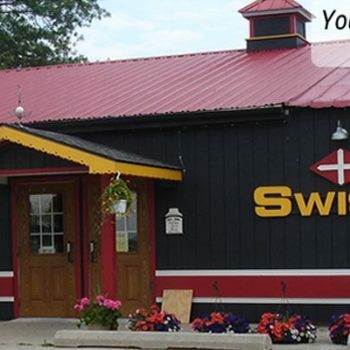 Pictured above is “Swissland Cheese” “formerly located in Berne, IN. 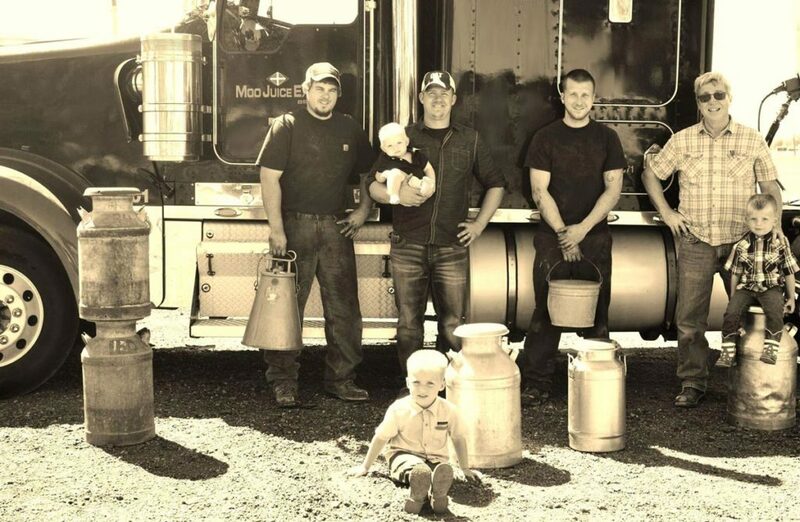 For over 100 years, the familial entrepreneur spirit and drive for success has never changed, thus Moo Juice Express, Inc. has become the finest of milk hauling companies in the United States. Pictured are Brady Johnson with his father, Kirk Johnson, and his three sons, 2017.